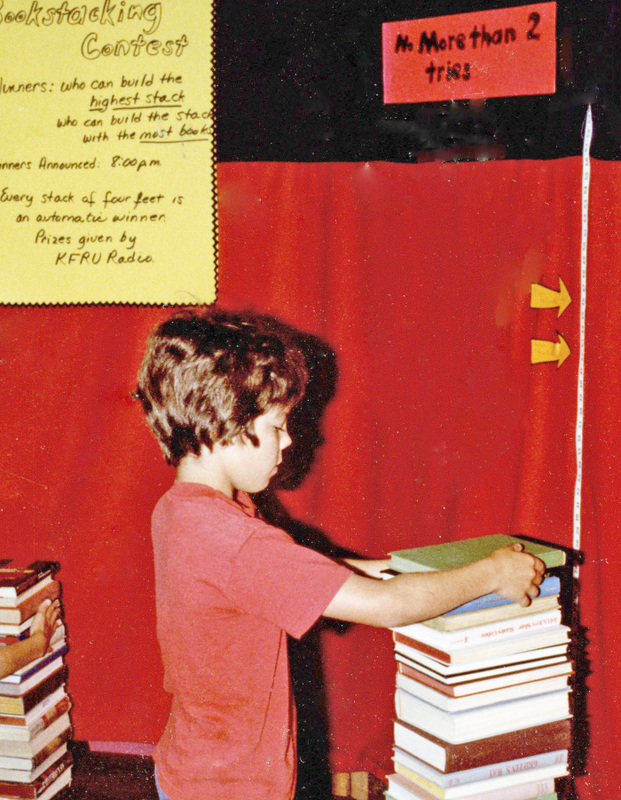 Boy trying to stack 25 books for the 25th anniversary of the Columbia Public Library. Location shown is old 100 West Broadway building. Daniel Boone Regional Library Collection . Library program: adv_child_103. Archives of the Daniel Boone Regional Library. 20 Apr 2019. The majority of the materials in the Community History Archive are licensed under the Creative Commons Attributions-NonCommercial-NoDerivatives 4.0 International code (CC BY-NC-ND), unless otherwise indicated. Other materials found on the DBRL Community Archives website may be copyrighted by their sources or may be in the public domain.